What a whirl wind. I'm not a newbie when it comes to having my IP (Intellectual Property) tampered with but I sure do know how to handle myself better the second time around. IT (Information Technology) isn't one of my strengths but believing and loving what I do everyday is. How I have managed and coped with my Instagram page being hacked. Don't panic! After all, 6,000,000 million people had their Instagram pages hacked this week so patience is the key! "Why did this happen to you Dani?" "Why not? It's something I'm good at and keeps me on my toes and sharing my story is what I love doing everyday. Plus it will help others. That's why I'm here." Reconnect with your community as they have your back and will find you in this amazing social media world. Keep being amazing at what you love doing everyday. My daily 365 mantra is Dream Big, Believe, Make It Happen. Never give up. Report the Instagram page and get your community and friends to report the renamed page. Big thanks to all my friends and community that reported the hacker impersonating my page. Thank you so much Heleen from App City Australia for being the first person to tell me the account had been removed. So my original page was DaniStevens365 which they renamed to hea1hymotivation and posted random pictures which didn't reflect my tone of voice or my style of pictures. Then the hacker had the audacity to write to my personal DM (Direct Messages) contacts within the app that I had with personal friends (conversations, negotiations with brands and my partners with my residential postal address!) and was asking for a shoutout! Then they had the courage to post on Instagram stories that my family lifestyle page Nomadz6 was hacked! Which then made me realise where was my DaniStevens365 page? I quickly switched my family Nomadz6 account (100k followers) over to secure back my DaniStevens365 name which thankfully they weren't clever taking away from me! Then I created a new Nomadz6 page (as I didn't want that to be hacked, reported or the name stolen with 100k followers) and is the account sitting in limbo until IG restore all the 137k beautiful community I lost this week. So what now? I wait. Patience is the key. One thing I have learnt in social media is you can't be a fly by the night success. I've been in this game for 5 years, so I know things happen and things get resolved. I have had numerous friends and colleagues connect me with people they know at Facebook but they don't have direct contacts within Instagram. But they're trying while I wait for an email response back from Instagram as they did email me back saying I should log back into the app with the original user name but they don't realise that's the one that got hacked and I have no clue what the username or password would be? 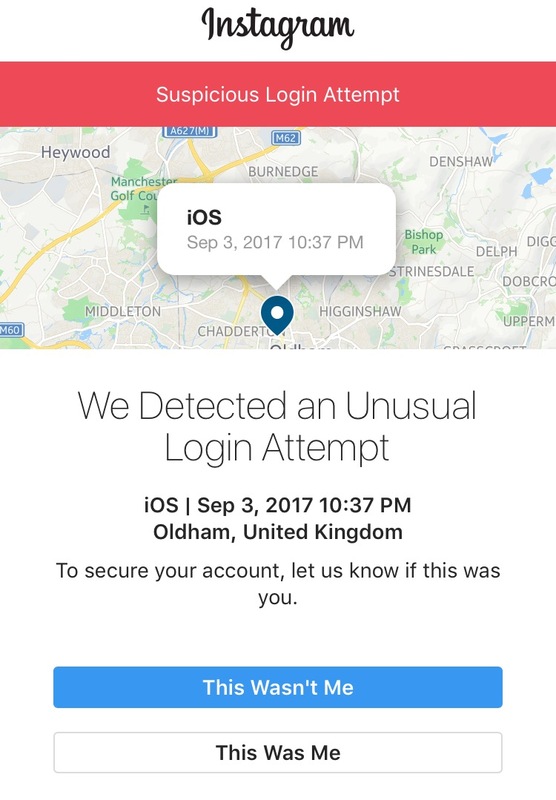 This is the location of the device that got into my email associated with my Instagram account. The puzzling thing is when I received this unusual login attempt my gmail account sent this security email to verify the email name change. When I pressed the link to revert the change, I was sent multiple emails with different account names and a different 2-step verification mobile code was uploaded so I was totally locked out! Love is always the solution. I'll keep you posted. As far as the IG app reports are concerned, I've submitted several which have looped me to a page I'm unable to report my unique situation. 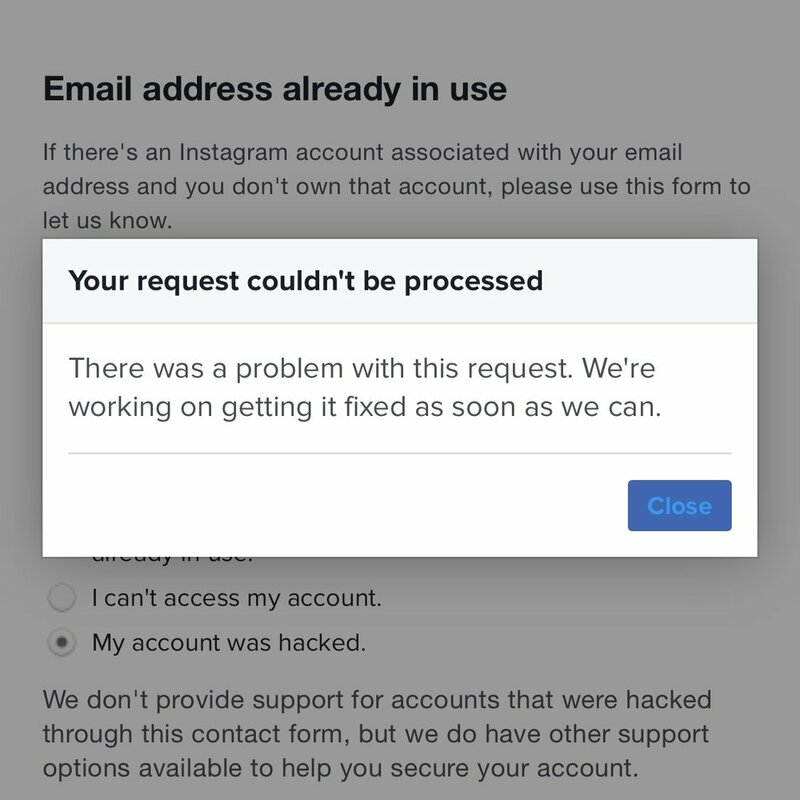 Having said that, I do have an email that is directly from The Instagram Team which I'm hopeful will be resolved as soon as all the other 6,000,000 million people have had their accounts restored. Wishing you an amazing weekend and see you over on my DaniStevens365 Instagram, Facebook, YouTube and Twitter pages for more fun, food, motivation and loads of fun! Thanks for being so amazing in my life. I love you beyond words.